Game drives are a major safari highlight for most tourists on Uganda safari. While on game drive, you have a great opportunity to enjoy the country’s hidden treasures in its expansive savanna grassland protected areas like Murchison Falls National Park, Queen Elizabeth National Park, Kidepo Valley National Park or Lake Mburo National Park. With game drives, you have chance to meet the Africa’s big game-elephants, buffaloes, lions plus tree climbing lions, rhinos-at Ziwa Rhino sanctuary, leopards (if you are lucky enough but ideal mostly while you are on night game drive) as well as variety of savanna wildlife species for instance antelope families, birds that make up a total population of about 1080 bird species. If you are interested in exploring most of Uganda’s water species then a boat cruise is the best option for you. It offers you opportunity to encounter wildlife species such as hippos, crocodiles and variety of aquatic avifaunal species as well as savanna grassland species that come to graze around the Lake Shores or river banks. This is ideal in areas like Lake Mburo National Park, Queen Elizabeth National Park, Murchison Falls National Park and others. This usually comes second after game drives and takes you through Uganda’s thick tropical rain forests of Bwindi National Park and Mgahinga National Park for you to look out for habituated gorilla families. About 500 mountain gorillas call Uganda their home and to track these rare creatures, you need $600 for you to secure a permit. You can obtain one through a tour operator or through reservationist at Uganda Wildlife Authority whose headquarters is based in Kampala. Uganda is a home to over 5000 chimpanzees and they are widely distributed in different parts of the country making it one of a few most ideal destinations for you to track chimpanzees. The notable areas for you to engage in this rare primate adventure include Kibale Forest National Park where there are over 1500 individuals and permits cost $150 per person. Other sites include Kyambura gorge, Kalinzu forest in Queen Elizabeth National Park, Budongo Forest in Murchison Falls National Park a mention but a few. If you want to explore what Uganda offers to its world’s travelers then consider nature walks a must in your travel plan. With nature walks, you get a chance to explore Uganda is real sense as it takes you through the hidden treasures of its protected areas and other most stunning sites. For authentic African experiences, consider cultural tours in Uganda a must in your travel plan. Uganda is a true melting pot of cultures. It comprises of about 30 different indigenous languages that are represented in the five ethnic groups. 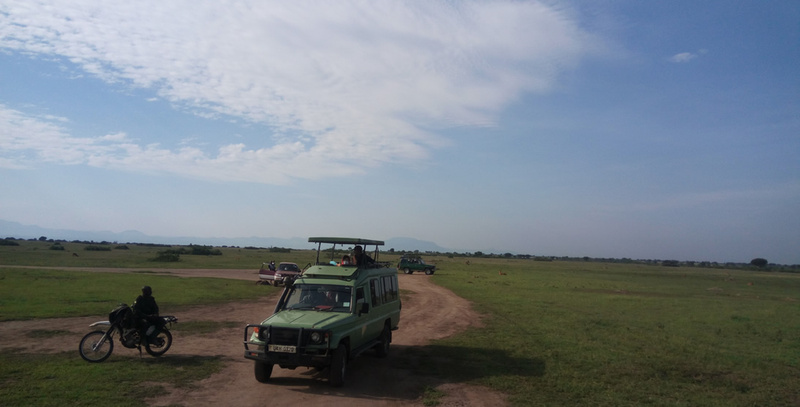 Interestingly, most of the national parks also come with distinct cultural experiences the fact that most of them are surrounded by different communities and you can even incorporate it with other safaris. If you are interested in gorilla trekking then don’t miss to meet the Batwa or Bakiga around Bwindi or Mgahinga National Park or visit other cultural sites such as Kasubi tombs site, Ndere cultural center and others. With over 1078 bird species, Uganda is a true birder’s paradise. It comprises of diverse bird species ranging from savanna grassland dwellers, forest dwellers, water species and others. They are widely distributed in different habitats including the national parks, lakes, rivers, forests, wetlands a mention but a few. While on birding tour in Uganda, you have a chance to encounter birds such as the shoebill stork, pelicans, king fishers, fish eagles, African green broadbill, African green breasted pitta a mention but a few. If you want to explore more about chimpanzees in depth, then chimpanzee habituation experience is the best for you. This is all day round adventure that takes you through semi-habituated chimpanzees-a process that is intended to make chimpanzees get used to human presence. You can be part of this extra-ordinary adventure in Kibale Forest National Park or Budongo forest. In Kibale National Park chimpanzee habituation permits cost $220 per person. You can also embark on Mountain gorilla Habituation Experience which is only conducted in Uganda and only in Bwindi Impenetrable Forest National Park. Permits for this adventure cost $1500.